Looking for a clean, well-cared for 2016 Mazda CX-5? This is it. 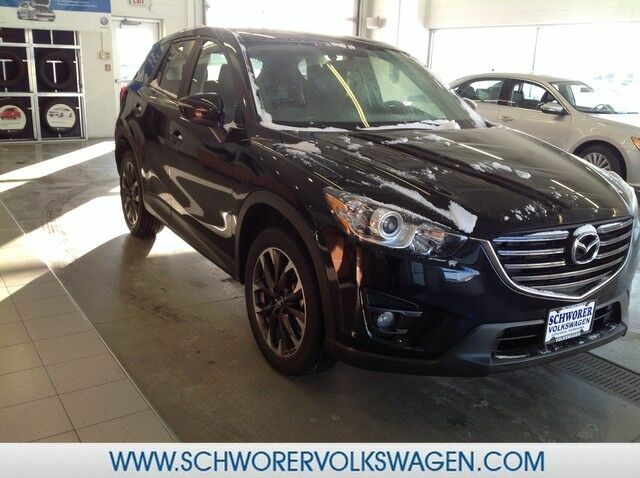 This Mazda CX-5 offers all the comforts of a well-optioned sedan with the utility you demand from an SUV. All-wheel drive means peace of mind all the time. This Jet Black Mica AWD Mazda enjoys a host offeatures, including exceptional acceleration and superior stability so you can drive with confidence. It's not often you find just the vehicle you are looking for AND with low mileage. This is your chance to take home a gently used and barely driven Mazda CX-5. And remember at Schworer VW, you are always assured of top dollar for your trade.....so stop out today for a test drive.